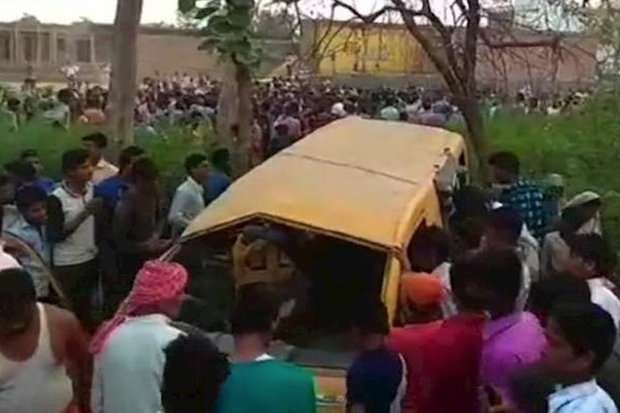 Thirteen children were killed on Thursday when a school van collided with a train at an unmanned railway crossing in the northern Indian state of Uttar Pradesh, a police official said. Eight children were injured and taken hospital, said the official, adding there were 22 children in the vehicle. The accident took place early in the morning when the children were on their way to school. The van collided with the Siwan-Gorakhpur Passenger Train, but the cause of accident is not yet known, the police official said. This is the second major accident involving school children in a little over two weeks. At least 24 children and three adults were killed when a school bus plunged off a mountain road in the northern Indian state of Himachal Pradesh on April 9.